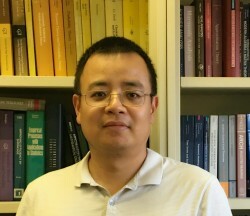 Zhipeng Liao received his Ph.D. from Yale and is an Assistant Professor in Economics at UCLA. His research develops methods to use data to select among different economic models, and to make inferences from nonstationary time series data, and to make robust inferences from nonparametric models. His work has been published in the Review of Economic Studies, the Journal of Econometrics and Econometric Theory.